Dear readers, it is a pleasure to present yet another interview at Musical Journeys - the place where we attempt to find out the answers to many significant questions related to music and musicians. Today, we publish our conversation with Croatian pianist Danijel Gasparovic who, besides being a pianist, is a well recognized artistic director of the Cristoforium art organization. Danijel comes from a musical family, his parents - both of them pianists and professors - have influenced his musical development and nowadays Danijel collaborates with his father, pianist and University professor Ljubomir Gasparovic at the Cristoforium organization in attempt to revive the musical scene in their home town Zagreb and to bring fresh musical happenings that include young artists besides the well recognized masters. 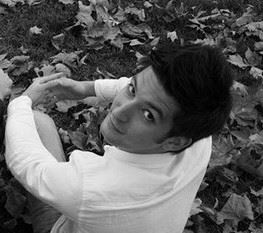 Danijel has also been a student of his father at the Music Academy in Zagreb and he has finished his post-graduate studies in the class of professor Djordje Stanetti. As an up-and-coming pianist, Danijel Gasparovic has performed in several European countries such as Croatia, Italy, Slovenia, Macedonia and others, and even in his academy days - having recognized the need to struggle for more opportunities for young people - he has been an active member of the Virtuoso series concert organization together with colleague Kresimir Starcevic at the Music Academy in Zagreb. We began our conversation with the age-old question. Dino: Danijel, what is Music? Danijel: Music is indescribable, something that cannot be defined with words, a goal we can only reach for. The closest definition for Music is Love. It is something that people cannot limit with time, numbers, definitions, measures. Music is a search for unlimited freedom. Music is giving. And for me, giving is the fruit of love. Dino: What are your earliest memories in music? Danijel: My first memories in music are in my early ages. I have listened to music and have enjoyed it even when I was still unborn so to speak, because my house was always filled with beautiful music. My father is a pianist, piano tuner, rebuilder of old pianos and a professor at the Music Academy. My mother is also a piano professor at a music school, my oldest brother Luka has played the French horn and my second brother Filip has played the piano as well. I’ve always been surrounded by pianos (we always had at least three or four pianos at home). I always loved music. Through music, I learned many things and I’m still learning to this day. Dino: What kind of things? Danijel: Things about.. people, love, feelings.. communication, time, rationalization. About life. I still remember my first public performance. I was 6 or 7 years old and I’ve played a composition called Volga at the Croatian Institute of Music. It was filled with people and they even threw roses at me. I remember I really liked that first time in front of an audience. Dino: We know from your biography that you have performed many concerts in the past, both as a student and after your graduation. How many opportunities to perform concerts do young musicians have in your country? What are the struggles of young artists today? Danijel: Young musicians don’t have many opportunities to perform concerts in my country. Especially when we talk about piano recitals and concerts with an orchestra. Young artists cannot live from performing here in Croatia. Pianists have to work in the schools and that’s if they are lucky to have a job. If not, they’re forced to take any job just to survive. Except, of course, if they are very rich. In that case, their parents pay for their studies abroad that usually last a long time.. until they get old. Croatia is a beautiful country, it has everything you can imagine - perfect seaside, wonderful nature, nice towns with history and tradition, a direct connection with many developed countries. So many different things in such a small space. But it also has people that do nothing about culture, music, tradition.. people that don’t see the beauties God gave them. We don’t respect what we have as much as we should. So, in those conditions - where money, power and the desire to rule are above serving our goals as people - we cannot develop into something that can be. Croatia has the potential to have very significant music festivals in almost every town on coast and land, but we have to invest in music. Our government believes that music is irrelevant. We used to have a president that is a musician, now our minister of culture is also a musician and nothings happens in the direction to improve conditions for culture and music.. The new Music Academy in Zagreb was built recently after ten years of construction works, and the strongest push for that was given by the Major of Zagreb, who has nothing to do with music. We have many struggles here. We don’t have managers or agencies that would take care of the young artists in Croatia. So we have to manage our concerts on our own. And people who decided on who’s playing and who’s not usually don’t have many connections with music, they’re just placed on that position. So, we have to fight for every opportunity to perform - to show what we have worked on our entire lives. We have to fight so we can give and share what we have - our talent, knowledge, everything - to people. But, I think that we must stand up for everything we love and to just never give up. Maybe it doesn’t make any sense for someone, but for me - it’s the truth. Dino: I see. But, what can we - as young artists - do to change the musical landscape of today? Danijel: I think we must be creative, dare to think, develop, to use our imagination to create. We shouldn’t only criticize, we should act. We have to see what is missing and try to fix it. Try to do better so the next generation can have a better ground to continue developing. We must be connected with each other, support each other. In other words, we shouldn’t be like isolated islands. We shouldn’t be afraid to try, even if we are completely wrong we can learn something from that as well. You know who never makes mistakes? Somebody that never works, someone that never tried to do something valuable. I’m seeing this in Zagreb.. we don’t have a platform for pianists. I cannot listen to a Croatian, or any pianist in the city called “Small Vienna”. So, my father and I have founded an artistic organization called “Cristoforium”. After one year of hard work, pushing ideas that seemed impossible to many people, without money and many other things people usually use as excuses, after several promotional concerts and presentations in the media, after many bureaucratic matters that no one wishes to attend to, we’re finally starting two concert series in October in two different halls. We’ll be having ten concerts in the series from October 2015 to May 2016 with some of the best Croatian pianists and international artists such as Malcolm Bilson, Stefan Vladar and Boris Ginsburg. We’re trying to do a good thing for the community, to upgrade the cultural offer, to serve something new. We have many big plans, but I hope we’ll have an opportunity to talk about them when we’ll be realizing them. Dino: I wish you a good luck in your future endeavors. Danijel, on a more philosophical note - what is the most valuable life lesson you’ve learned from music? Danijel: I’ve learned that we are here to give, to love in an unlimited way. That’s the way I love music. Dino: Do you think classical music should be popularized if so, in what way? How much space is there for compromises in the musical content? Danijel: I think classical music can be popularized in a very simple way - give classical music to people and they will embrace it. Every kind of crossover or other combinations for me are not a popularization of classical music. It becomes a new genre that has nothing to do with classical music. Every composer has produced a unique work of art. So, you cannot just insert something just to make it likeable. That’s just for people who are thinking only about themselves, their own glory, money, popularity.. We’re here to serve music, as performers - to tell the story that’s already written but in our own special way. Every person on this planet is different, but we all seek for the truth, we seek for love. “Exupery in the Little Prince”, one of my favorite books says that the most valuable things are not visible with the eyes, only with the heart. I believe that. By heart, we are all brothers and sisters and I believe that music, especially classical music can strengthen the connection between us. Dino: So, seeing with the heart and not the eyes - seems like there’s not much space for judging. And yet, we are obsessed with music competitions, events where pianists are being selected and their performance judged by a jury. Music competitions seem to be an unavoidable part in the life of a young musician and yet there are many controversies surrounding them. What’s your take? Danijel: Nowadays, any pianist that wishes to have a career has to participate in a competition. But, the real question is – do music competitions exist as a term? For me, it’s very confusing. Can there be a competition about how to love someone? Who will love better or more? I don’t think so. Music competitions present an opportunity for young artists to show themselves, in that way they can be beneficial. At the competitions you get marks for your craft. For something that people usually call technique. For me, technique is art and not just a craft. So, you get marks for only one segment of your musical personality. You get some prize money and several concerts. If you’re lucky, a label will make a recording of your performance and maybe someone is going to listen to those recordings. I like recital performances far better than competition performances. We really should develop the musical landscape to present more opportunities for young people to perform in front of audiences, to feel the stage and build the experience. People know what they like to hear. Dino: You’ve recently had some very successful and notable performances in a piano-duo formation with your colleague Nikola Kos. What are the positive sides of such a collaboration that you can apply to your solo performance? Danijel: In chamber music, you create with someone. You really learn to listen and to communicate on a different level. You’re not alone. No one likes to be alone. After such an experience, I can apply a different approach to music in some compositions. I believe that every pianist should try to develop himself as a chamber musician. I really love playing in a piano-duo formation. Always have. Dino: Danijel, you’re a young but successful teacher as well. Do you learn from your pupils as much as they learn from you? What can we do as teachers for their future in music? Danijel: I learn very much from my pupils every moment I spend with them in class. It’s a huge responsibility but also a great joy to teach someone. I’m trying to share with them my knowledge and I also try to inspire them to create by themselves, to enjoy music, to have their personal opinions, attitude. We are here to direct them on the best way for them. We must show them what music can bring to them, so they would treat music with respect. Dino: In the end, why all of this Danijel? Why music? Danijel: Music is my first love, it is something that is given to me and my responsibility is to answer with hard work, time and everything I can offer. I think music chose me, it is a pure gift. Dino: The Musical Journeys crew would like to thank you for your time and we wish you all the best in your future work. Danijel: Thank you, all the best to you.